Organic coconut oil is combined with organic cocoa butter, shea butter, and aloe vera jelly to create extremely moisturizing body butter. We have infused the coconut oil with local Hawaiian herbal extracts and natural lavender essential oil. 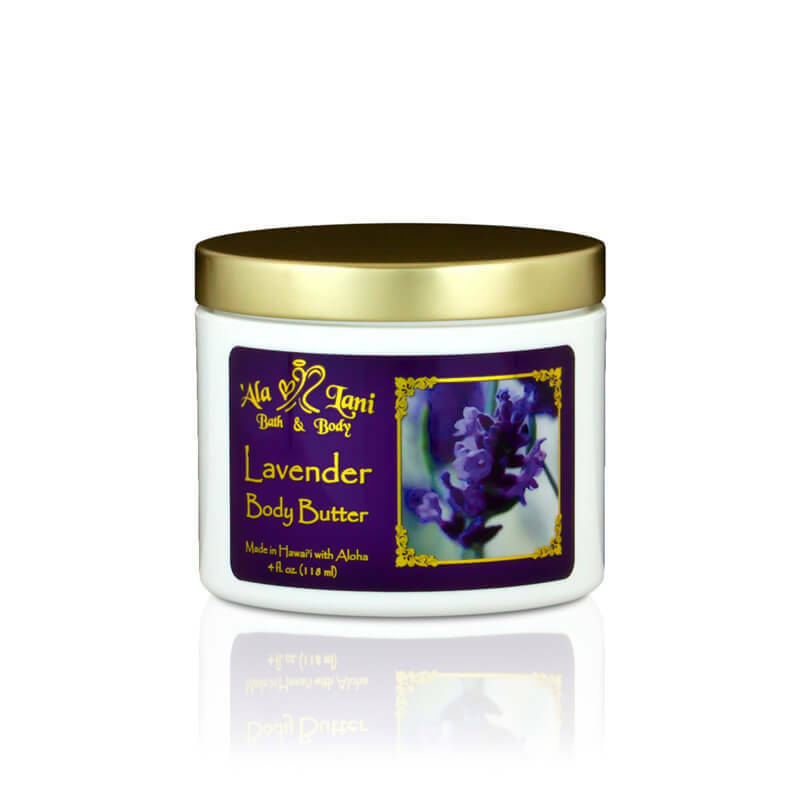 This body butter is great for massage or whenever you want to relax, pamper, and hydrate your skin. Our incredibly rich body butter is wonderful to use just after your shower or bathe. After your skin has been cleansed and exfoliated apply a generous layer of body butter. Then put on your favorite pair of cotton pajamas and let the body butter nourish and hydrate your skin all night. Sweet dreams!